If another month has come and gone and you have failed to balance your budget that doesn’t mean your efforts failed you. It simply means you need to focus on budget categories that need attention, bringing in more money and spending less. There is one tool more important than all of the above especially for people who give up on budgeting because it’s not working for them. If you’re not already doing this, you should be. For starters please don’t forget that there will never be a perfect budget as it will always have flaws. Even we have good months and bad months and we’re debt free which wasn’t an easy journey. What you have saved in the bank or with investments has nothing to do with whether you meet your monthly budget goals. 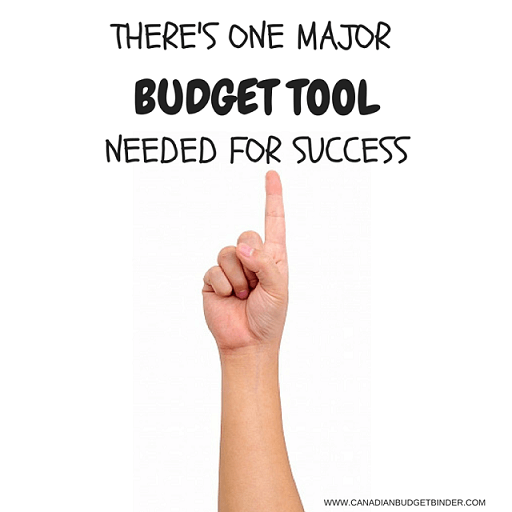 I’m afraid the one tool that you need to start using a budget is not an actual budget, that comes after and to be honest doesn’t take that much effort. 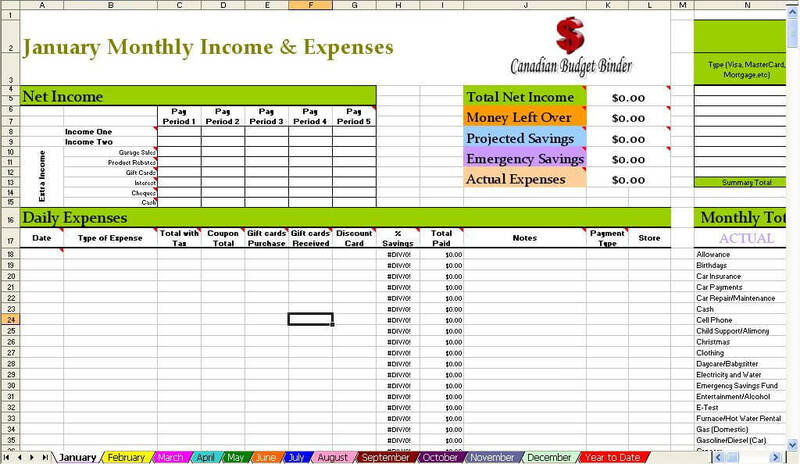 With all the free budget spreadsheets available online it’s easy peasy. What you do need and I’m not saying this to try and trick you are come up with any silly secrets to financial success but it’s, Time. Tic, Toc, Tic, Toc…without invested time you may never reach your goals. So many people resort to searching out the easiest way to make money but forget making it is not the hardest part, keeping it is. Get rich quick schemes may work for the short-term but they are never sustainable so take what you can get but don’t count on it to fund your budget month after month- It won’t. Your budget will become its own money-making machine because it forces you to spend less than you earn and to save any extra money to pay off debts or stash into savings or investments. If you are saying to yourself right now that you don’t have any extra money to spare, you will. Money isn’t going to land in your bank account the minute you start to use a budget. Sadly, it doesn’t work that way. You want the hard truth well I’ve given it to you and if no other personal finance expert reminds you about time management then you’re missing out on your main tool of successful budgeting. If you can balance your agenda to include an hour a week of budget reviews and a clear mindset to where you want to see yourself financially your budget pipeline should not break. When I graduated university I wish I was earning mega bucks right from the start with no debt. Sadly, that wasn’t the case. I had to work my way up the ladder with lots of roadblocks along the way, but I did it. Why? Because I invested time and energy into achieving my financial goals and wasn’t solely focused on the debt. I was working on the solution to the debt which is far more productive than doing nothing. Wasting time gets you nowhere so instead of crying over your financial situation which won’t change unless you get rich or someone pays your debt like John Oliver who bought and forgave 15 million dollars worth of debt for unsuspecting people find alternate ways to creep back into debt freedom even if it takes you years. Time is the tool you need to carry you through to debt freedom. How you utilize that time and where you focus your efforts will determine how successful you will be. It’s your choice! Do you set time aside every month to work on your budget? Share some tips that have worked to keep you on schedule for those fans who are struggling and need some inspiration. Another astounding month in terms of income due to me working lots of hours. A genuine case of make hay while the sun shines. We may never earn this much again, but it’s good income while it is coming in. However, it doesn’t mean that I have to go out and spend it. Nothing lasts forever so take advantage of the good times to support the bad. 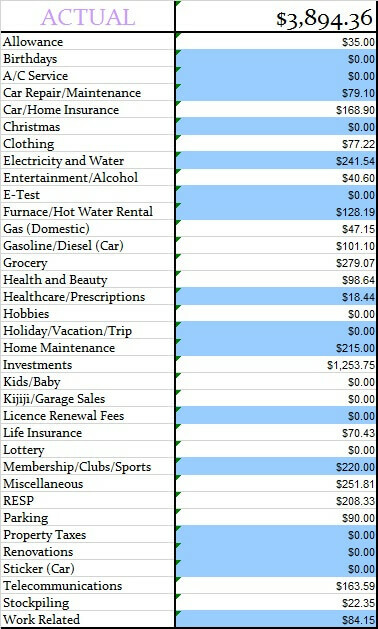 In terms of expenses, we had minimal bills to pay therefore leaving us with plenty of emergency savings. Our savings of 66.01% includes savings and investments and emergency savings for this month. 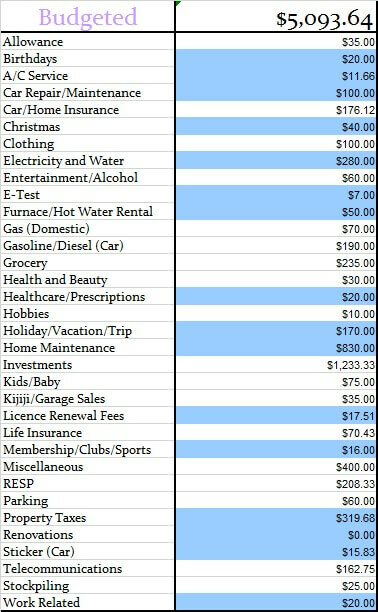 If you include the projected expenses savings, we actually saved 80.31% of our income. That’s $10771.35 going into savings or investments of some description or another. The other categories were well within the defined percentage limits. Our projected expenses this month is at 14.30%. Time for the juicy category numbers and to see how we made out with our monthly budget. Below you will see two tables, one is our monthly budget and the other is our actual budget for the month of May 2016. 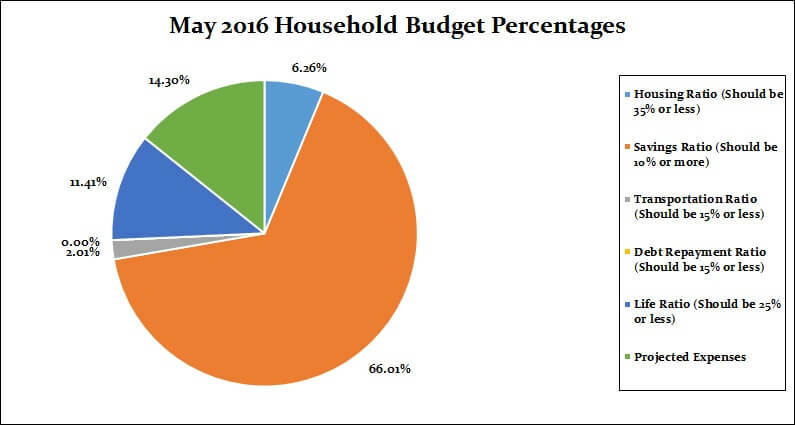 This budget represents 2 adults and a toddler plus our investments. Here are my June 2016 goals along with whether I completed tasks from May 2016. Call around to lawyers to talk about getting a Will written up- Pass I’m hoping to set up an appointment when I’m finished work this month. Finish the master bathroom shower- Fail Once I’m sorted out with my job I’ll have a better idea for a renovation timeline. Finish the walls in the baby room- We talked about this and we may just take the crib apart and bring his toddler bed upstairs. This is going to be some long training sessions to get him to sleep in his room. We may end up taking down the jungle theme and replacing it with a car theme. Write down what we want in our new kitchen- We discussed whether we wanted to put in an IKEA kitchen or a high-end kitchen. We’re still pondering our options although most houses in our neighborhood up for sale are selling in less than a week with the original kitchen. Sort through our sons clothes and sell some- We didn’t sell any clothes this month however we did sell a basketball net that we got for free for $15. Our neighbour told us to do what we wanted with the kids stuff he gave us. Start researching vacation spots for 2016- We are not going away this year unfortunately. We were planning a big trip however something important has popped up for me in the middle of my vacation time which I can’t change. Take out all the patio/deck and sunroom furniture- The deck stuff is out but the sunroom stuff is not. The plan is to get this completed when I am home on vacation. Right now our son is using the sunroom as a giant playroom. Clean out the entire garage- Half of the garage is cleaned. The other half has our second vehicle which I need to move out at some point. Get the hanging baskets ready to go- Well, they are hanging but they are empty. We also have to pick up some flowers to put in them this month. Buy mulch and tidy up the front and back gardens- The back garden looks great however I need to get mulch. Our rhubarb is so big it’s unreal. I hope to give it away for free to someone who can use it. Wash the windows inside and out around the entire house- The downstairs windows have been done but not the upstairs as of yet. On the to-do list. 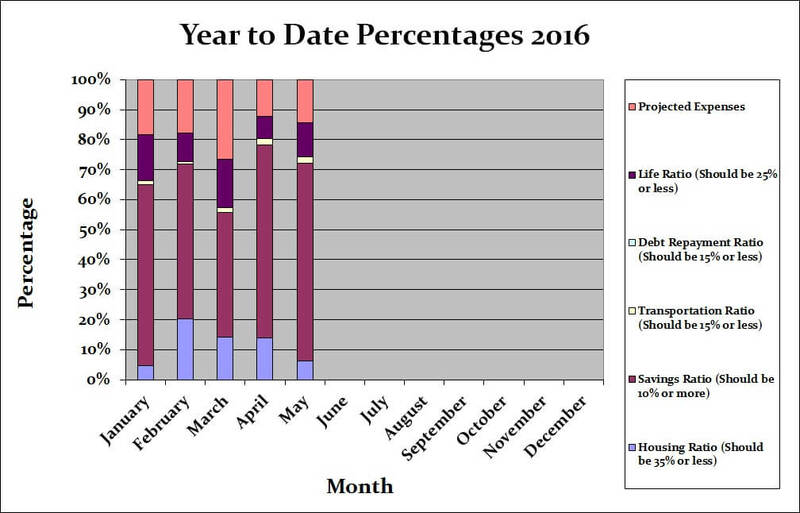 That’s all for this month check back at the beginning of July 2016 to see how we made out with our June 2016 budget. Not sure how bad your ant problem is. We use Terro, if they have that up there. We don’t have a big problem with them except once or twice a year, but have been pleased with it. It’s some liquid drops that you put on the provided pieces of paper & the ants eat it up. Thanks I’ll check it out and see. This year they are in front of the garage and in front of the walk-way and won’t seem to go away. Thanks for the tip.